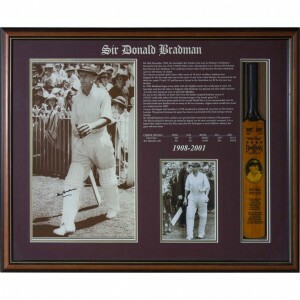 Perfect for honouring a legend in the sport of cricket. Perfect for any fan of cricket wanting to pay homage to the legend of the Australian Cricket team. 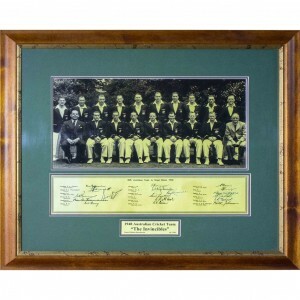 Photograph of the 1948 Australian cricket team signed by the members of the team. 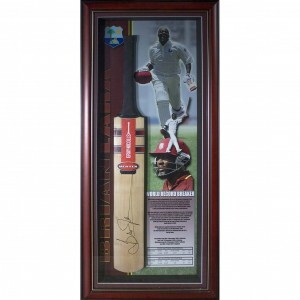 A showcase of The great Brian Lara signed bat. 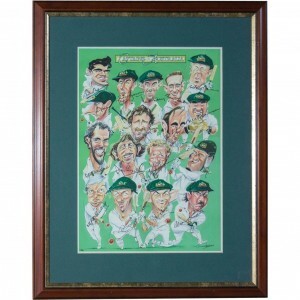 Signed caricatures from Bill Brown to Adam Gilchrist. 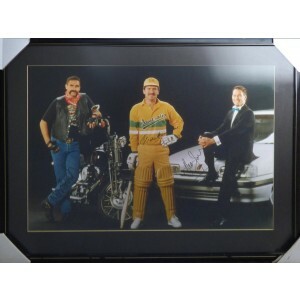 This stunning framed piece celebrates Allan Border, Merv Hughes, and Dean Jones, three great Australian cricketers. Each of the three players appear in the photo and have Hughes, Jones and Border have each personally signed the piece. They are each amazing cricketers in their own right, with all of them having played at least 50 matches for Australia, and Border captaining Australia and having one of the highest run totals in the history of test cricket. This is perfect for any true Australian cricket fan. High-quality framing and photo - Professional framing and brilliant colours! Please contact us for a quote on the shipping of this product. This limited edition print celebrates the careers of the 6 Australians who have reached triple figures. Matthew Hayden 380, Mark Taylor 334, Don Bradman 334/304, Michael Clarke 329, Bob Simpson 311 and Bob Cowper 307. 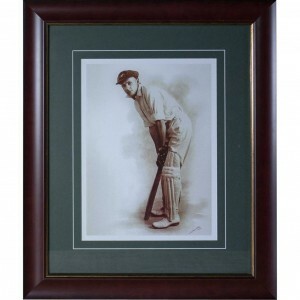 Secure your piece of Cricket history! The Triple Centurions Print is an Officially Licensed Cricket Australia Product.